There were plenty of flags to be seen around Arlington this past week, in celebration of Independence Day. 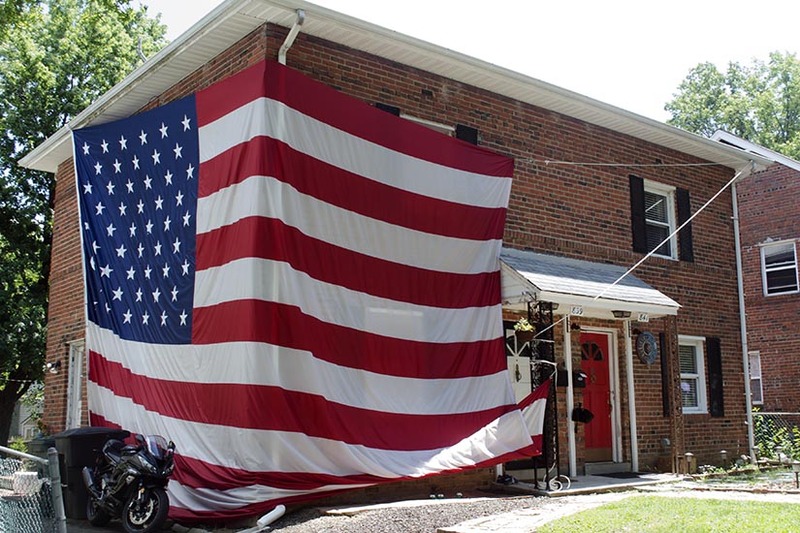 One household in the Arlington Heights neighborhood, near Columbia Pike, took their patriotism to another level. The residents of a home on the 800 block of S. Ivy Street draped an enormous, 20’x30′ American flag across the side of their house. Bain said the flag appears to be the biggest residential American flag in Arlington, at least as far as she is aware. She added that the flag is still up but it will probably be taken down later this week.